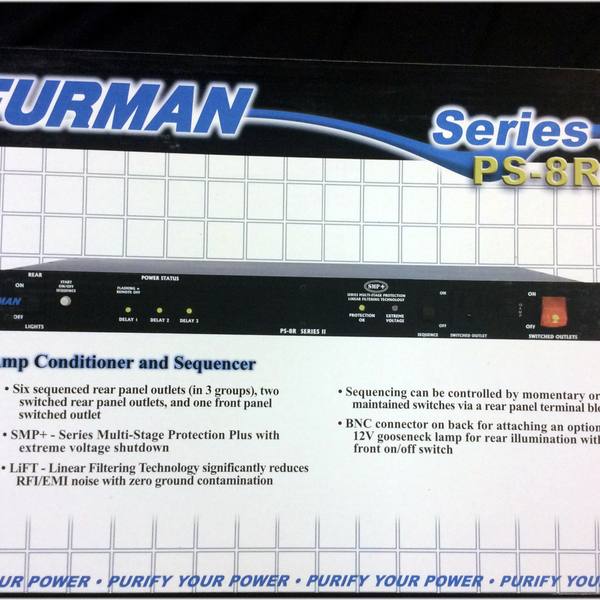 The Furman PS-8 Power Sequencer is useful whenever various kinds of equipment must be powered on or off in groups, rather than all simultaneously. 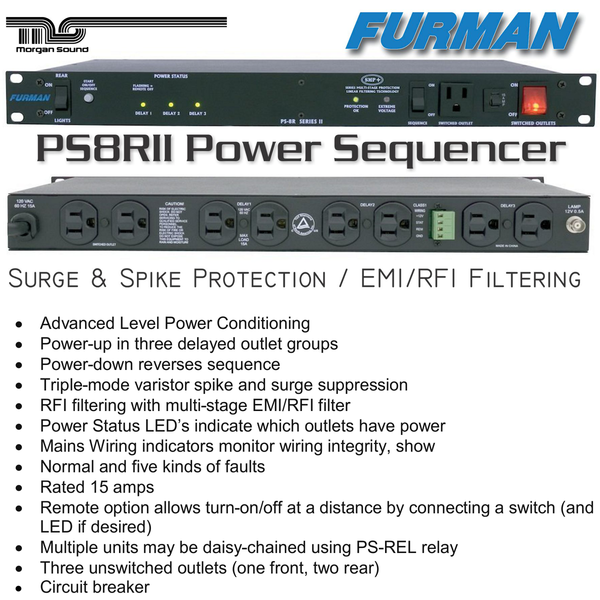 In audio systems, sequenced powering is often preferable, allowing turn-on transients from low level amplifiers and processors to settle down before any power amps are turned on; as simultaneous power-up would result in a loud, annoying, and potentially destructive “pop” reaching the speakers. In large systems whose components present an inductive load to the AC line (including electric motors, power supplies, and power amplifiers of all kinds), sequenced powering can avoid damaging inrush currents that cause circuit breakers to trip even though the steady-state currents are not excessive. 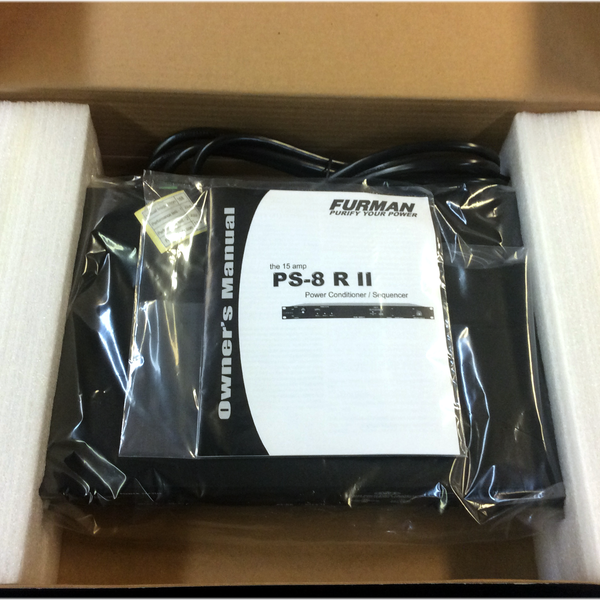 Using the PS-8 is a simple and inexpensive way to apply and remove power in a controlled, repeatable, foolproof 3-step sequence. It is ideal when large installations must be switched by inexperienced personnel or volunteers. o	(22 ga. wiring minimum). 	* 1.75" H x 19" W x 8" D.
	* Weight: 6 lbs (2.7 kg).